Find tips, tools, music and educational videos. All Things Sweet Adelines. All In One Place. 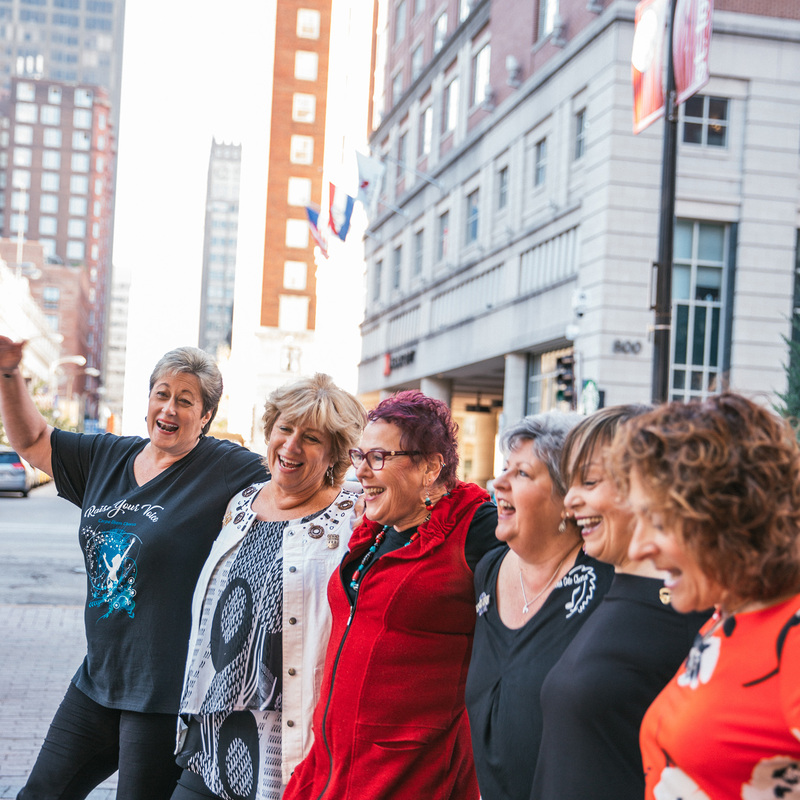 Whether you’re ready to join, have some questions or just a little more exploring to do, you can find all things Sweet Adelines here. New copy: Interested in starting a chorus or quartet? Need to find an arranger? Looking for a form or information on scholarships? Want to know more about Sweet Adelines travel? This is the place! To access all content on this page, please login in as a member. 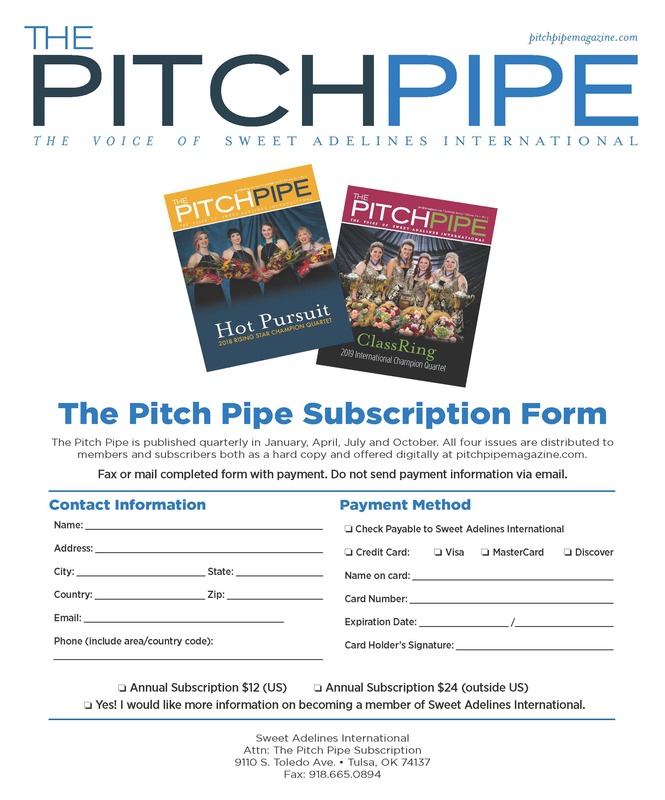 Since 1949, The Pitch Pipe magazine has kept Sweet Adelines informed and inspired about all things barbershop. Available in print and online, The Pitch Pipe reaches over 21,000 readers. Promotional and advertising opportunities are available. Want to start your own chorus? It’s easier than ever with our STEPS program, designed to help you charter your own chorus from the ground up. Four women, four voices, four parts come together to create a beautiful, harmonic sound. Let us help walk you through the steps of starting your own quartet. “Sing, sing a song…” We have a variety of barbershop favorites and arrangements of modern hits available to members and non-members. Search by song title or arranger name, preview your song selections and purchase the perfect song for your chorus or quartet from our extensive and ever-growing collection. Need some help logging in and navigating the new membership database? We have compiled some handy instructions to help. Looking for a document? Find it here! Do you have a song or an idea for an arrangement on your mind? Contact one of our many talented arrangers! Traveling can be taxing, but not with Journey House. This incredible travel agency offers exclusive travel deals, personalized trip planning and outstanding customer service. The Sweet Adelines International logo has long symbolized sisterhood, barbershop harmony and the joy of singing all over the world. Under special circumstances, the logo can be used by members for fundraising and other purposes. Find the specific rules and policies for usage and licensing here.